Express Anytime Tickets are valid for 365 days from purchase date – great for gifts! 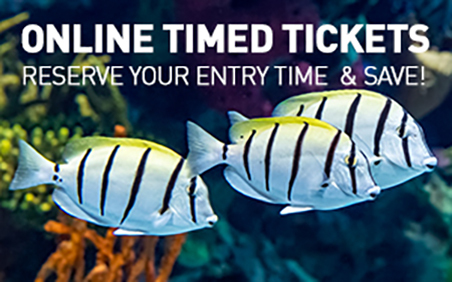 Online Timed Tickets allow you to reserve an entry time. A great option to save time and money! 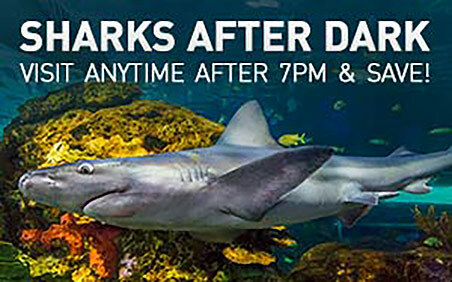 Sharks After Dark – visit after 7 PM and save. The same great experience for less! Make sure to check our Hours of Operation when planning your underwater visit! 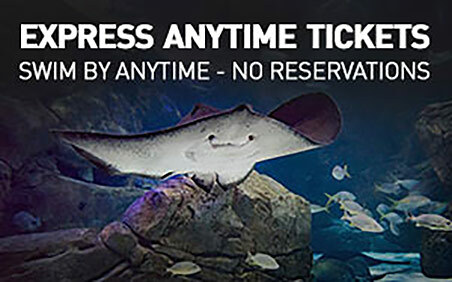 This website is the official authorized seller of Ripley’s Aquarium of Canada tickets on the internet. Ripley’s Aquarium of Canada is not responsible for and does not condone the unauthorized selling of tickets from other websites. All child and youth guests must be accompanied by an adult at the time of their visit.